Watch out for the pesky Crust Smasher swooping in and stealing the spell book! Whizz-kid Ava Prentiss and heroic knight Lance Richmond are defending Merlok's Library 2.0. Can they fend off the Crust Smasher and stop the Book of Revenge falling into Jestro’s hands? Includes 2 scannable shields for NEXO Powers Toxic Sting and Ice Dragon. This comes down to 10.41 cent per brick. 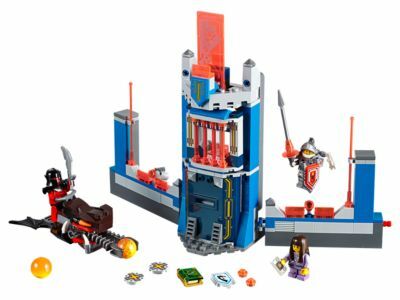 The Merlok's Library 2.0 (70324) Lego set is no longer directly available from the sites below. However, 3rd party partners of these sites might still have the set available. Alternate description Guard the Book of Revenge in Merlok's Library 2.0 and stop the Crust Smasher breaking it out of the prison. Includes 3 minifigures.